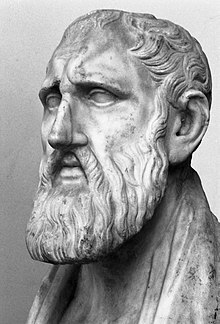 Zeno of Citium (334 BC – 262 BC) was a Greek philosopher from Cyprus, and was the founder of the Stoic school of philosophy which he taught in Athens, from about 300 BC. Seeing that the universe gives birth to beings that are animate and wise, should it not be considered animate and wise itself? No one entrusts a secret to a drunken man; but one will entrust a secret to a good man; therefore, the good man will not get drunk. As quoted by Diogenes Laërtius, in Lives of Eminent Philosophers: 'Zeno', 7.87. As quoted in Diogenes Laërtius Lives and Opinions of Eminent Philosophers, vii. 23. Variant translation: The reason why we have two ears and only one mouth is that we may listen the more and talk the less. Peter Kropotkin, in "Anarchism" article in Encyclopedia Britannica (1910) "The Historical Development of Anarchism", as quoted in Anarchism: A Collection of Revolutionary Writings (1927), p. 288. Zeno of Cittium - founder of Stoicism by Paul Harrison.